The amazing news is coming from Karlovac nearby Zagreb where a young genius Albert Gajšak (only 20 years old, just for the record!) is already having his own tech company and a gadget that is guaranteed to produce geniuses in STEM fields in years to come. 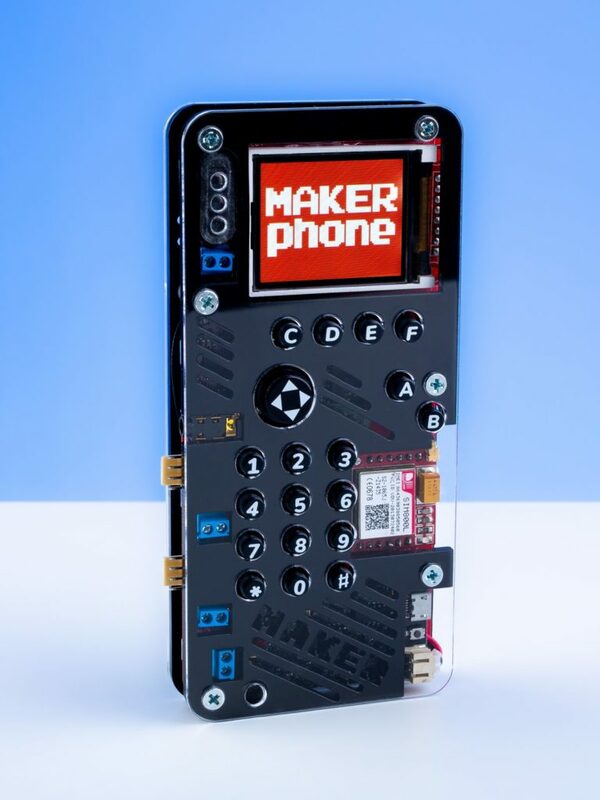 The name of the gadget is MAKERbuino and it is a DIY (do-it-yourself) game console which is also, as the creator says: fun, educational, 8-bit, portable, cool and open-sourced. In the era of smartphones and all other kinds of technology that seem to take over even the youngest ones, there may be nothing we could do against the fact that children will be into gadgets since their birth, so why not give them something useful that will teach them how technology is made and develop their IT skills they will definitely need in the future. This neat little device is an open source handheld game device that you can build yourself. Besides that, MAKERbuino is also an educational device shaped like a game console. It comes in a kit form (or you can buy it preassembled) – you get a box with all the electronic components necessary for building your own portable game machine. To build your own MAKERbuino the only things you’ll need are some basic tools and an interest in technology. This device is based on easy-to-find components and programmed in Arduino – one of the most popular DIY microcontroller platforms. 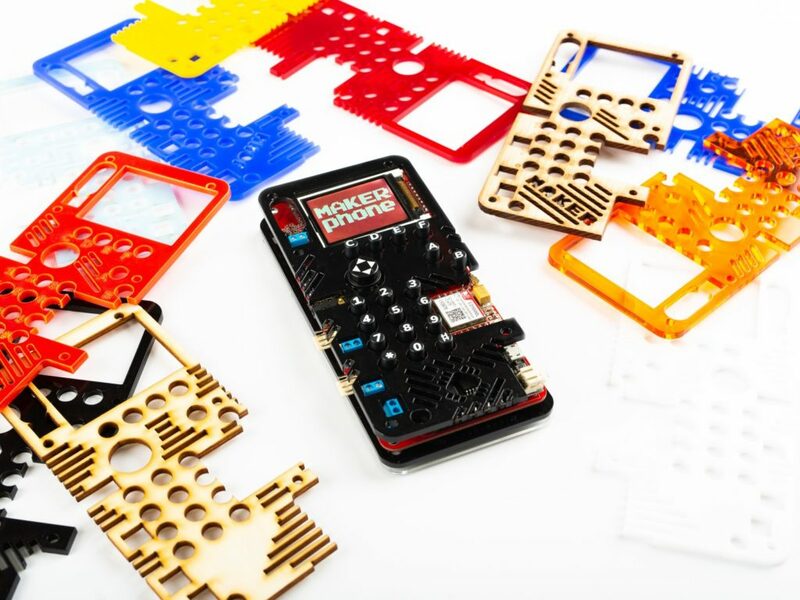 MAKERbuino is primarily an educational device disguised in the shape of a game console. Its purpose: to motivate people to explore, learn and create something new in a fun and interesting way! You might think that this kind of gadget is quite pricey- but it’s not! On the official MAKERbuino website, you can see that the MAKERbuino’s price equals the price of an average newly released game console video game. The idea is: instead of buying yourself, your kid, a nephew, a sibling or a friend a video game, you can buy yourself/him/her a MAKERbuino for the same price and motivate yourself/someone to learn something new and enter the wonderful world of DIY electronics. It may not look as polished as an iPhone with a low-res screen and 2kB of RAM but you’ve made it with your own two hands, it’s unique, it’s retro, it’s cool. We’re in the 21st century and teenagers build their own game consoles at home. The future is knocking louder and louder on our door and we and our new generations are here to embrace it! Thanks to people like Albert, we do really have faith in a bright and smart future.